It’s time to start anew. Computer problems, holidays happenings and uncooperative wind have reduced my kite flying these past months and brought this blog to a halt. My apologies to those who have come here looking for my ramblings about kiting experiences. 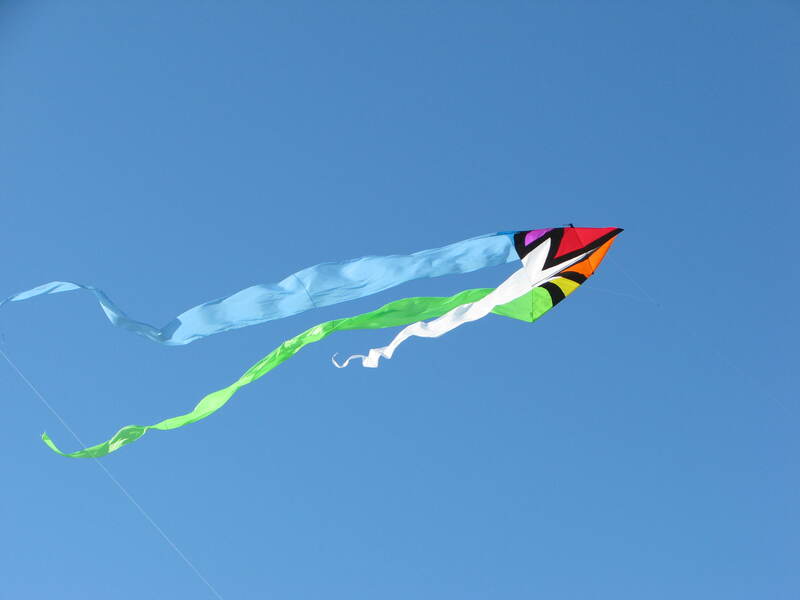 I’m going to begin again and, hopefully, inspire some of you to get out and fly a kite or two. 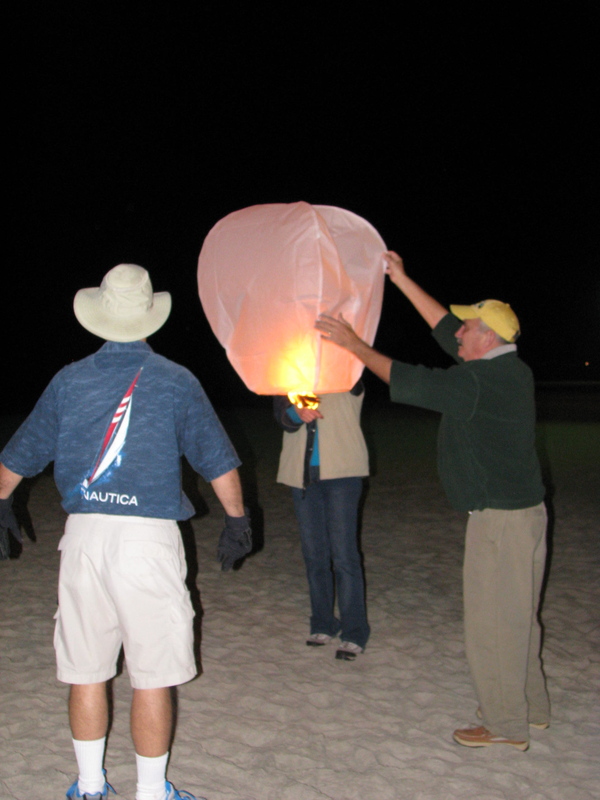 New Year’s Eve brought an attempted night kite fly. I say attempted because with the setting of the sun there was also a setting of the wind. To nothing. Several of my kite friends gathered at the beach but we all left our kites in our bags. 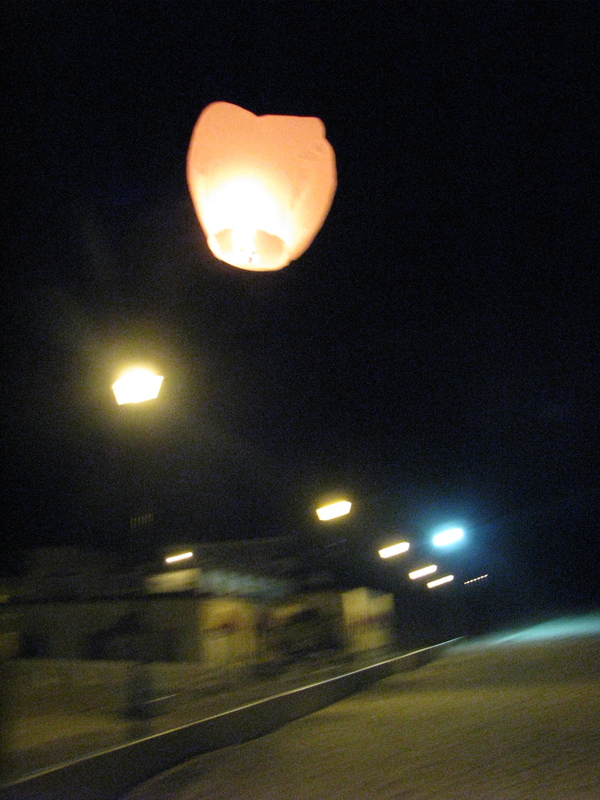 What we did fly were some sky lanterns. These are balloon-shaped biodegradable paper bags with a small wire framework holding a small fuel source. 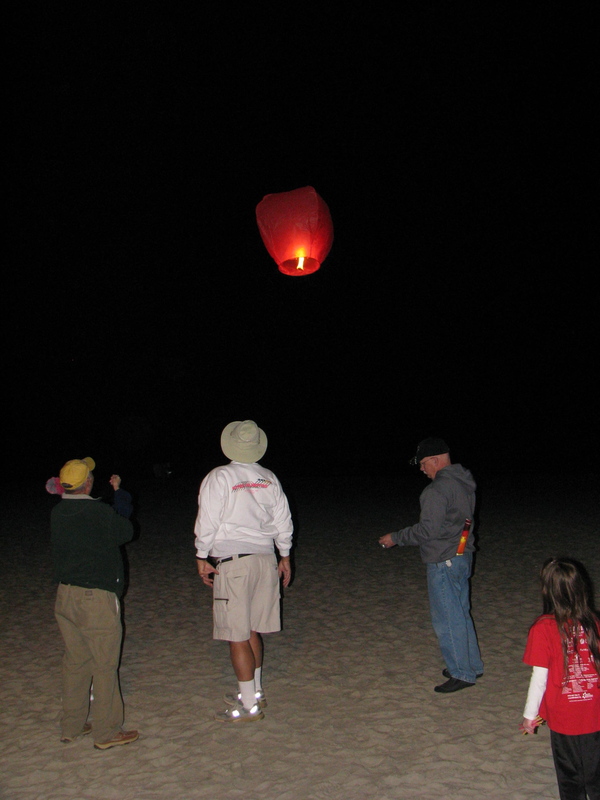 The lanterns are lit and the heat from the burning fuel fills the paper bag and causes it to rise. The lit bags rise into the air and float gently away. Several of these launched a the same time make a wonderful night display. 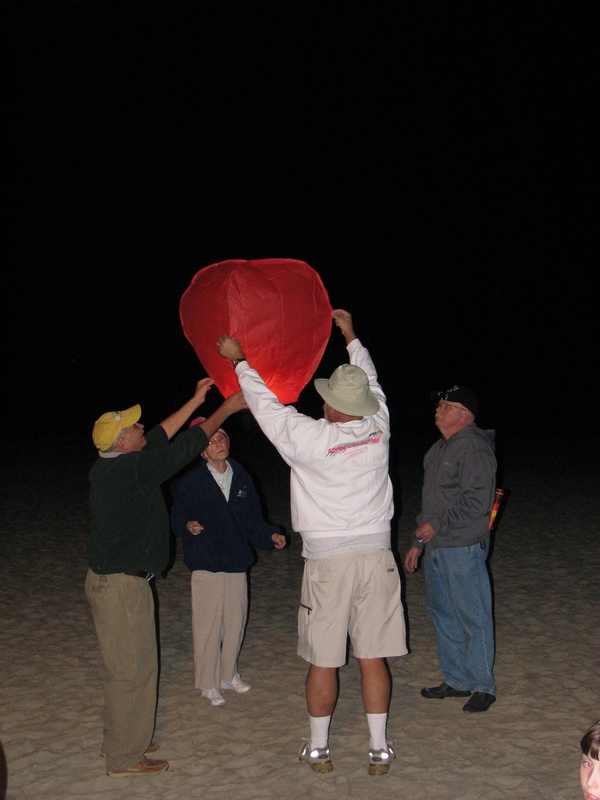 Sky lanterns are used during festivals in China and Southeast Asia. 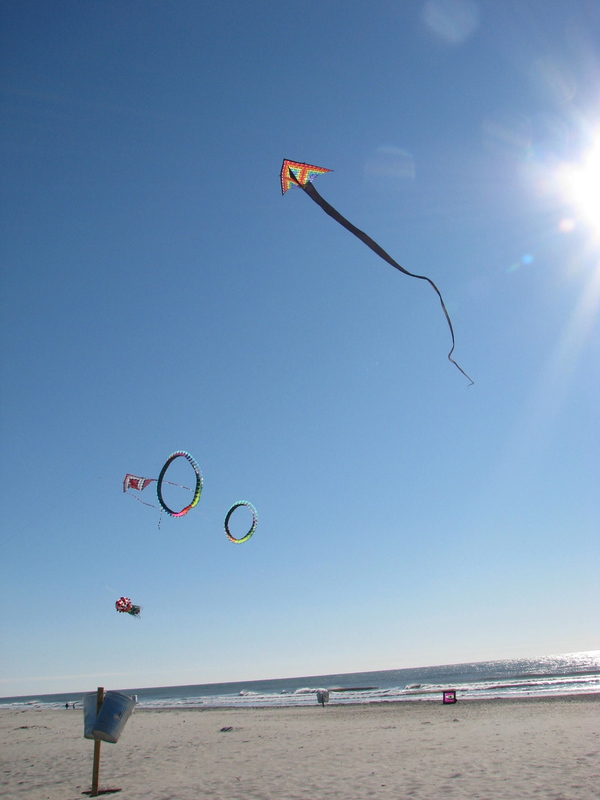 New Year’s Day was the annual, informal kite fly on the beach. 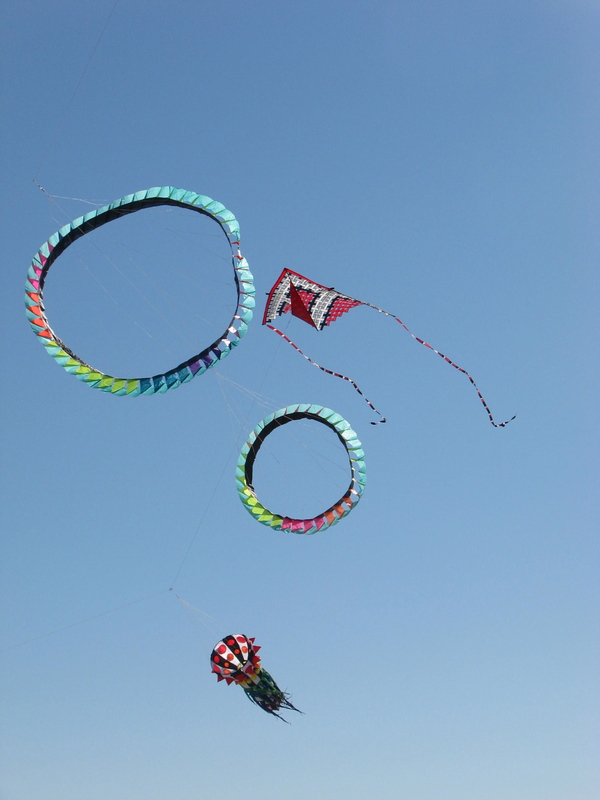 It is informal because it is just a number of kite fliers filling the sky with color on the first day of January. It is not organized like a festival. We merely all decide what time to arrive at the beach and then show up. The length of time spent flying is up to the individual. I was, unfortunately, unable to attend this year. But reports from those who were there tell me I didn’t miss much. There was no wind. Even the fighter kites had a hard time staying in the air. I shouldn’t really say I didn’t miss much. I did miss visiting with my friends from out-of-town and those from in-town who I don’t get to see often. Apparently after most of the fliers left, the winds did pick up. A rokkaku did get away from its owner during a rather strong gust. The line became entangled in some power lines about two blocks away from the beach. It was retrieved with no ill effects. I wish I could have been there. 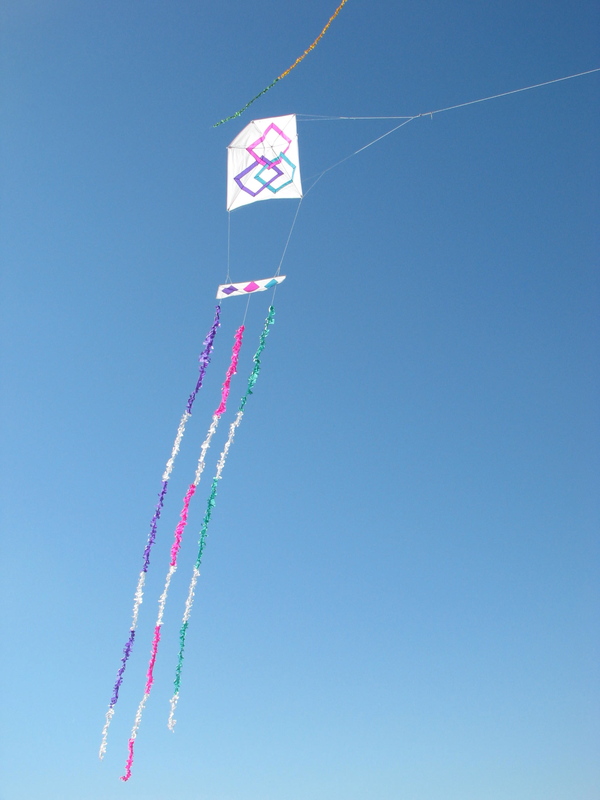 My New Year’s kite fly occurred on the second day of January. The winds were up and down, strong and weak. But that wasn’t going to stop me from trying. A couple of friends were already on the beach when we got there. We put about ten kites in the air. Some of them were on their maiden flight. 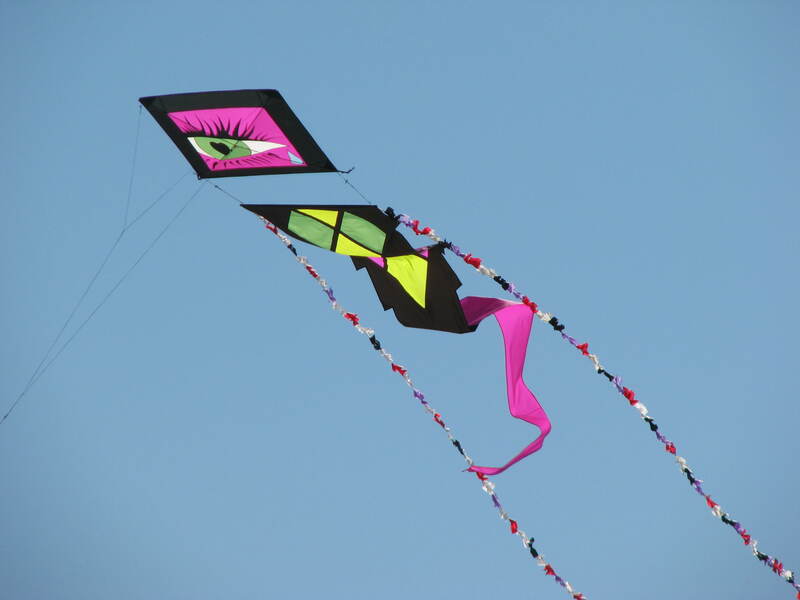 My friends are also kite builders and innovators and had some new designs to try out. All were successes to one degree or another. And we had some good discussions about the builds and the styles and possible improvements. Two mesh deltas flew fairly well but were kept low due to the addition of line laundry in the variable winds. Also in the air were several Hatas, a small barn door kite, a dragon variant, a flo-tail delta and my two power sleds. Lots of color. But we spent most of the time picking things up when the wind went down and putting them back in the air when the wind picked up. It was nice to be on the beach whatever the wind was doing. Then it was off to the kite shop to check in and visit some more. Yes, there is a lot of talking going on when one is involved with kites. Finally hunger signaled it was time to go home. And today the wind has increased to beyond what I care to fly kites in and the thermostat has dipped to below what I care to stay outside in. So I spend time at the sewing machine finishing up my latest kite project and planning my next one.